As scheduled, this competition will take place tomorrow on our range, commencing at 10:00 am . The format will be the NASRPC T&P1, both open and red dot sights, for pistol and rifle. We look forward to seeing you all in the morning. December Pistol Shoot 31st December. http://eastcoastshootingclub.com/wp-content/uploads/2019/02/ECSC-50th-20190101-300x169.png 0 0 SMCEditor http://eastcoastshootingclub.com/wp-content/uploads/2019/02/ECSC-50th-20190101-300x169.png SMCEditor2017-12-14 13:18:432017-12-14 21:52:23December Pistol Shoot 31st December. Monthly Club Pistol Competition October 29th. http://eastcoastshootingclub.com/wp-content/uploads/2019/02/ECSC-50th-20190101-300x169.png 0 0 SMCEditor http://eastcoastshootingclub.com/wp-content/uploads/2019/02/ECSC-50th-20190101-300x169.png SMCEditor2017-11-02 20:49:292017-11-02 20:49:29Monthly Club Pistol Competition October 29th. Monthly Club Pistol Competition September 24th. http://eastcoastshootingclub.com/wp-content/uploads/2019/02/ECSC-50th-20190101-300x169.png 0 0 SMCEditor http://eastcoastshootingclub.com/wp-content/uploads/2019/02/ECSC-50th-20190101-300x169.png SMCEditor2017-09-27 08:03:502017-09-27 08:03:50Monthly Club Pistol Competition September 24th. Monthly Club Pistol Competition Sunday 27th. August. http://eastcoastshootingclub.com/wp-content/uploads/2019/02/ECSC-50th-20190101-300x169.png 0 0 SMCEditor http://eastcoastshootingclub.com/wp-content/uploads/2019/02/ECSC-50th-20190101-300x169.png SMCEditor2017-08-30 10:46:022017-08-30 10:46:02Monthly Club Pistol Competition Sunday 27th. August. Advance Notice-August Monthly Pistol Competition. http://eastcoastshootingclub.com/wp-content/uploads/2019/02/ECSC-50th-20190101-300x169.png 0 0 SMCEditor http://eastcoastshootingclub.com/wp-content/uploads/2019/02/ECSC-50th-20190101-300x169.png SMCEditor2017-08-14 20:49:212017-08-14 20:49:21Advance Notice-August Monthly Pistol Competition. Monthly Club Pistol Competition Sunday 13th August. 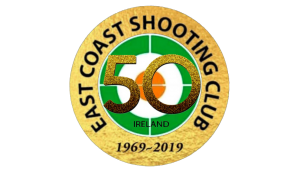 http://eastcoastshootingclub.com/wp-content/uploads/2019/02/ECSC-50th-20190101-300x169.png 0 0 SMCEditor http://eastcoastshootingclub.com/wp-content/uploads/2019/02/ECSC-50th-20190101-300x169.png SMCEditor2017-08-03 18:51:162017-08-03 18:51:16Monthly Club Pistol Competition Sunday 13th August.